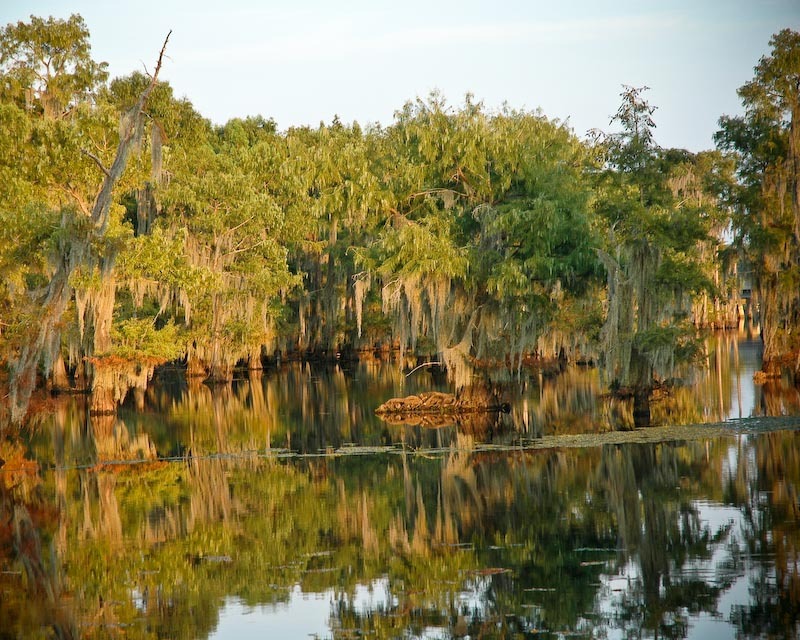 Situated on the western shore of Lake Bistineau, this park offers a satisfying blend of beautiful vistas and outstanding recreational facilities. Memorable for its upland mixed hardwood forest, its open waters, and its enchanting stands of cypress and tupelo trees, the park offers two boat launches, hiking and biking trails, playgrounds, two swimming pools, a lakefront beach, camping, cabins, lodges, and excellent fishing! Beginning in January with the "yo- yo" season and lasting through the spring, summer, and early fall, the dedicated fisherman can draw such freshwater catches as black crappie, largemouth bass, yellow bass, catfish, bluegill, and red-ear sunfish from the lake's clear waters. 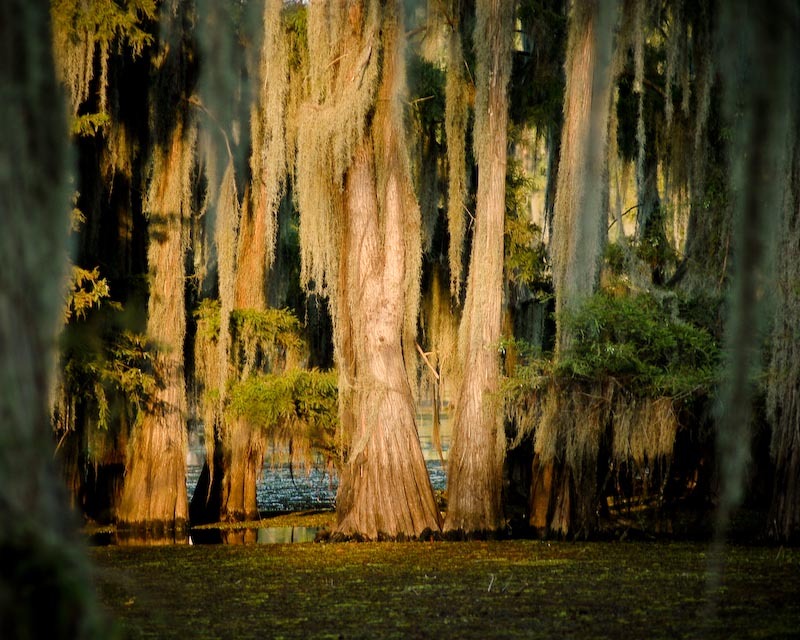 Lake Bistineau dates back over 200 years. It began in 1800 when several thousand acres of land were flooded due to a gigantic log jam in the Red River. Gradually, however, as the area was dredged, the lake began to drain. 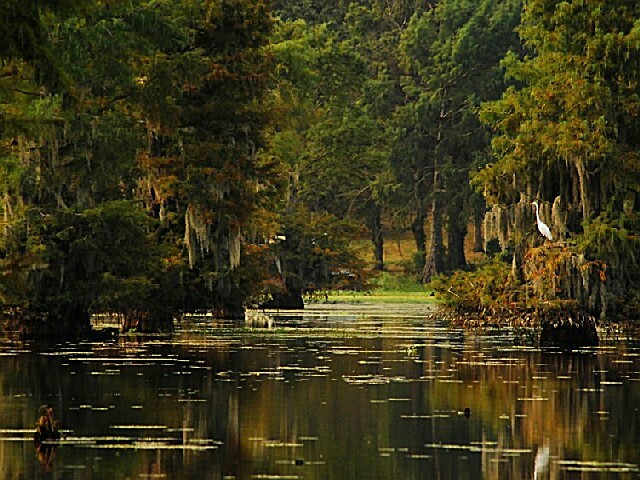 Then in 1935, a permanent dam was built across Loggy Bayou,creating the present-day Lake Bistineau. The dam has since been enlarged, giving the reservoir a surface area of 26.9 square miles, with an average depth of seven feet and maximum depth of 25 feet. Area 1 is located in the main section of the park, with cabins, a group camp and swimming beach. Picnicking along the lake is tremendously popular at numerous sites equipped with tables, grills, and nearby restrooms. Several picnic pavilions are also available for larger groups. The park's trail system encompasses nearly 10 miles of woodland trails and an 11-mile canoe trail, for visitors who want to see the park's beauty from the water. 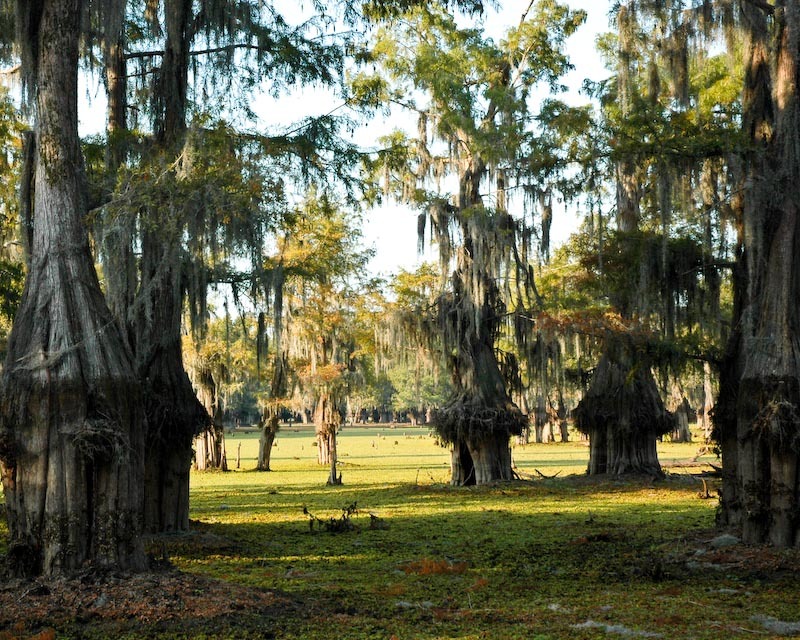 Although Area 2 is connected to the main part of the park by the lake, to reach Area 2 by car you will return to the highway by going east off LA 163, along Webster Parish Road 177, to the entrance. Area 2 includes a group camp, playgrounds, a large picnic area with several pavilions, a swimming pool, a baseball field and a boat launch. Area 1 also has provisions for those who want to spend the night. Fourteen vacation cabins, complete with bedrooms, bathrooms, and fully equipped kitchens, are extremely popular attractions. The cabins have central air conditioning and heat, making them comfortable year-round. Standard Lodge Sleeps up to 12 people with 2 double beds, 2 bunk beds and 4 single beds. 44 Improved Campsites (water and electrical hookup). 17 Premium Campsites (5 pull-through campsites, 12 prime location campsites, all with water and electrical hookup). Includes dining hall/kitchen and 20 cabins, sleeping up to 160 people. Includes dining hall/kitchen and 6 cabins, sleeping up to 48 people. Local people tell many stories of the successes enjoyed by fishermen on Lake Bistineau. Beginning in January with the "yo- yo" season and lasting through the spring, summer, and early fall, the dedicated fisherman can draw such catches as black crappie, largemouth bass, yellow bass, bullheads, bluegill, and red-ear sunfish from the lake's clear waters. Area 1, or the main section of the park, is accessed from LA 163. Picnicking along the lake is tremendously popular at numerous sites equipped with tables, grills, and nearby restrooms. Several picnic pavilions are also available for larger groups. 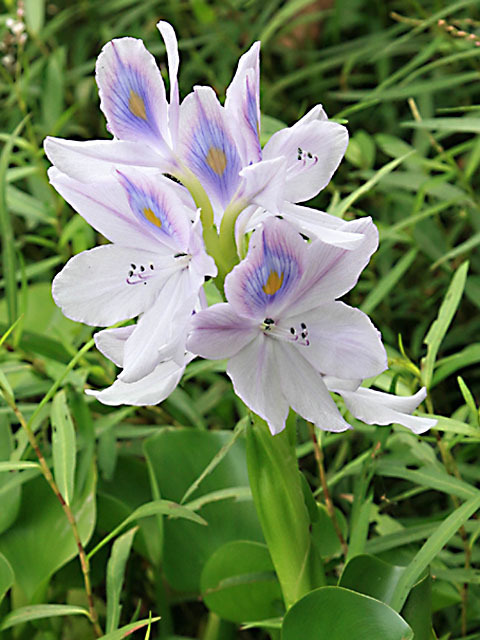 A park naturalist is on hand to take you along one of the park's nature trails or offer a variety of programs which are guaranteed to bring the natural beauty and wildlife of the park to life. Lake Claiborne State Park (7 miles southeast of Homer on LA 146) - Located on the banks of a 6,400-acre lake. With steep ravines and rolling hills, the park features excellent picnicking, pavilions, 10 vacation cabins, 87 improved campsites, a swimming beach, boat launch, fishing pier, and nature trails. Lake D'Arbonne State Park (5 miles west of Farmerville on LA 2) - A fisherman's paradise, this 655-acre state park on the shores of Lake D'Arbonne features 65 improved campsites, 50 picnic tables and grills, 3 fishing piers, a boat ramp, and a fish cleaning station. Jimmie Davis State Park at Caney Lake (Off LA 4 southwest of Chatham, on Lakeshore Drive and State Road 1209) - Situated on an outstanding bass-fishing lake, the park offers camping, picnicking, 2 boat ramps, a fishing pier, swimming beach and is an ideal spot to launch biking expeditions. Historic Town of Minden (East of Shreveport on I-20) - Visitors may travel old brick streets still leading down Main Street and explore 2 historic residential districts including both antebellum and Victorian homes. 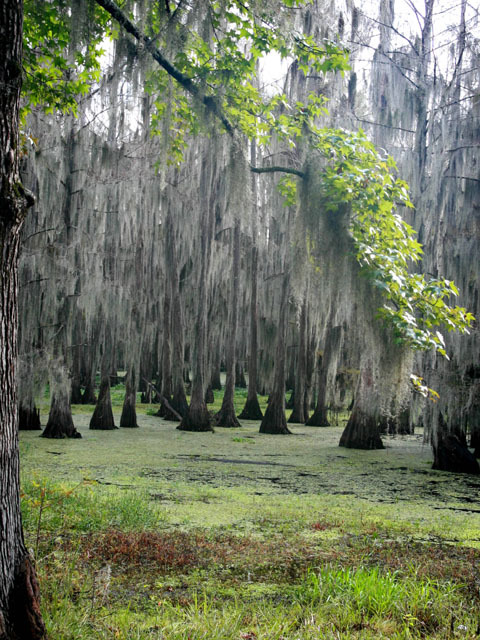 Kisatchie National Forest-Caney Lakes Recreation Area (North of I-20 on LA 159) - This area offers picnick- ing, swimming, fishing, waterskiing, hiking/biking trails, boat launches, group picnic shelters, and 27 improved and 21 unimproved campsites. The 7.6-mile Sugar Cane National Recreation Trail circles upper Caney Lake and offers a forest ecosystem, views of the lake, and the visible remains of an old sugar cane mill. Bossier City is alive with nightlife, family entertainment and mouth-watering Southern cuisine. On the riverfront lies the Louisiana Boardwalk (I-20 on the Red River) with over 55 outlet shops (including Bass Pro Outdoor World), 8 eateries, a theatre and live entertainment. R.W. Norton Art Gallery (4747 Creswell Avenue, Shreveport) The R.W. Norton Art Gallery is a non-profit museum built in 1966 which features original works of American and European art.In addition, the Norton is set amidst forty beautifully landscaped acres, including azalea gardens complete with more than 15,000 plants including several hundred native azaleas. Golf Courses - Trails End Public Golf course (I-20 at Arcadia); this 18-hole golf course is one of the most challenging in the area. Olde Oaks Golf Club (Sligo Road, minutes from the park) is a 27-hole Hal Sutton Signature Design golf facility with five sets of tees and generous fairways to allow any level of golfer to enjoy their round. Golf Club at Stonebridge (Stonebridge Boulevard, Bossier City) is an 18-hole Fred Couples design, located in the picturesque woodlands just north of Bossier City. 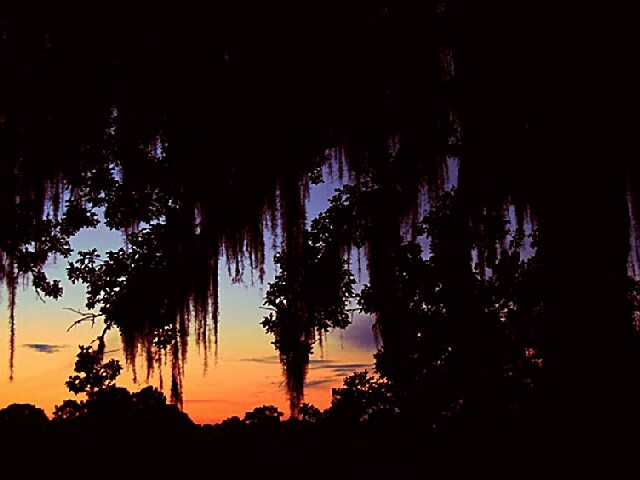 Loggy Bayou Wildlife Management Area (On LA 154 south of Haughton) - The 4,211 acres of alluvial flood plain or bottomland hardwoods offer hunting, fishing, birding, day hiking, a boat launch, and designated camping areas. Ambrose Mountain (Hwy. 154 south of Sailes and I-20) - A granite column marks the spot where notorious outlaws Bonnie and Clyde were ambushed and killed by Texas Rangers and a posse in 1934. Driskoll Mountain (Off LA 507 between Parish Roads 797, 164 and 163, south of Arcadia and I-20) - This "mountain" is the highest point in Louisiana, rising 535 feet above sea level. Mt. Lebanon (South of I-20 on LA 154) - This pioneer community was established in 1836. Its historic structures include Mt. Lebanon Baptist Church, built in 1837, and seven private homes, all listed on the National Register of Historic Places. The old wood-frame church still has divided pews for men and women. 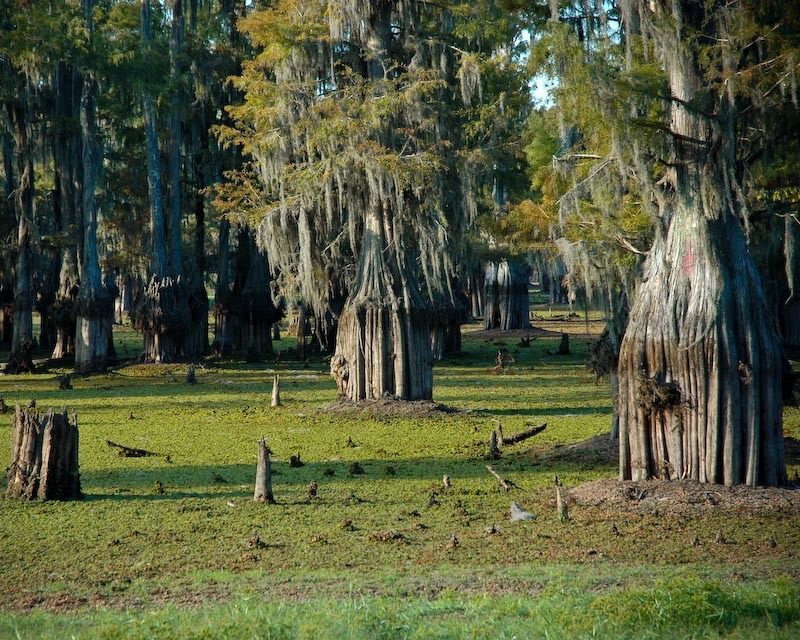 Bodcau Wildlife Management Area (On LA 157, north of the I-20 Haughton exit) - This 32,471-acre area features hunting, fishing, birding, hiking, a boat launch, and camping along Bodcau Bayou. Great time with family, rented pavilion # 3, everyone loved that it was screened in. Came with cleaning supplies but did not need them, they had already clean it for us. which was great. Plenty of room for everyone. Wish there was a stove in there. The one thing everyone complained about was after dark the only lights on the outside was one dim light. It was pitch dark out there. Had to turn on car headlights to load up cars. Will defiantly rent again. Everyone at park was helpful and polite. I love to go to this park, but they need to get maps of the equestrian trails to give to the guests. They use to have one but they gave the original away and have not replaced it. 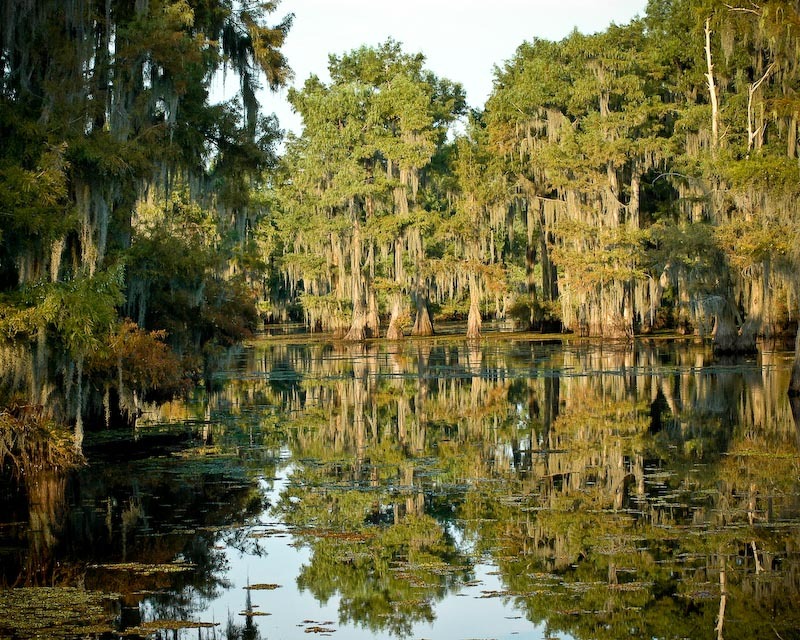 Lake Bistineau State Park--(103 State Park Road, Doyline, LA 71023; 318-745-3503 or 1-888-677-2478) is located southeast of Shreveport just off LA 163 south of Doyline. From I-20 at Minden take LA 7 south to Sibley, LA 164 west to Doyline, and LA 163 south to the park. 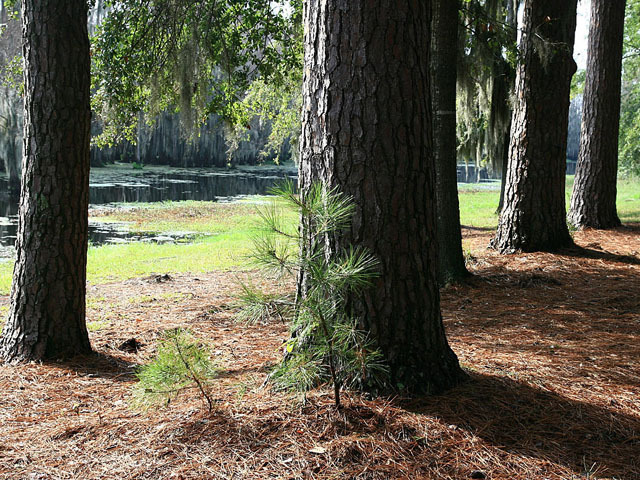 Enjoy a multitude of recreational opportunities in the midst of a beautiful woodland on the edge of a 200-year-old lake. To reserve a cabin, campsite, group camp, picnic pavilion or the lodge, call 1-877-CAMP-N-LA toll free (877-226-7652).